Earlier this month, he tweeted a Minneapolis Star Tribune cartoon that took a jab at him and the White House's quick turnover rate. 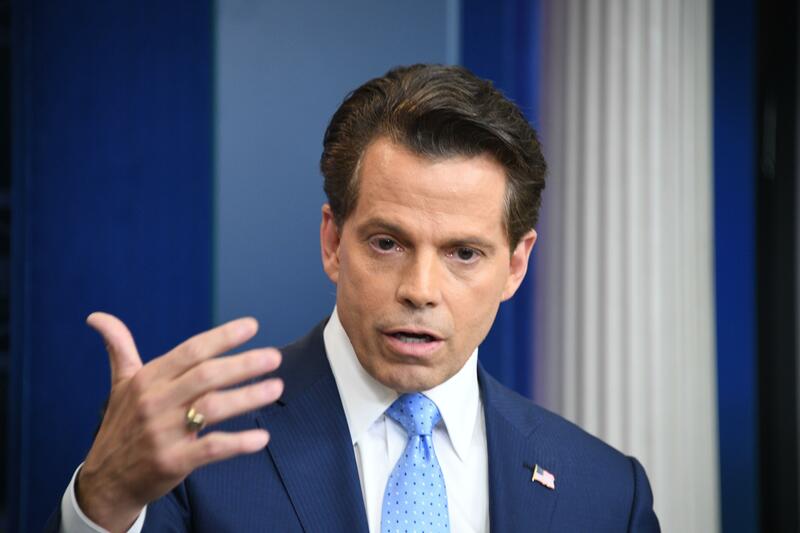 Scaramucci was fired as communications director on July 31 after he was hired for the role on July 21. His termination came the same day that retired Marine Corps Gen. John Kelly was sworn in as the new White House chief of staff. "Anthony Scaramucci will be leaving his role as White House Communications Director. Mr. Scaramucci felt it was best to give Chief of Staff John Kelly a clean slate and the ability to build his own team. We wish him all the best," White House press secretary Sarah Huckabee Sanders said that day. Scaramucci was escorted out of the White House, a source told CBS News at the time. He was the third communications director to leave the position. Jason Miller had been appointed to the job during the transition, but later turned it down. Then Mike Dubke left the job in May. Hope Hicks, a longtime aide to Trump, is serving as the interim communications director.